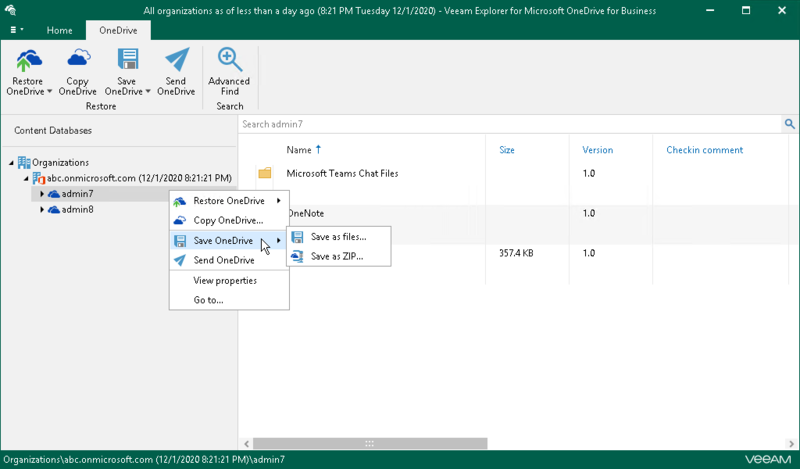 Veeam Explorer for Microsoft OneDrive for Business allows you to save OneDrive content to the specified location. On the Home tab, select Save OneDrives > Save files/Save OneDrive > Save files or right-click an object and select Save OneDrives > Save files/Save OneDrive > Save files. Select Save as ZIP to save OneDrive documents and/or folders as ZIP. 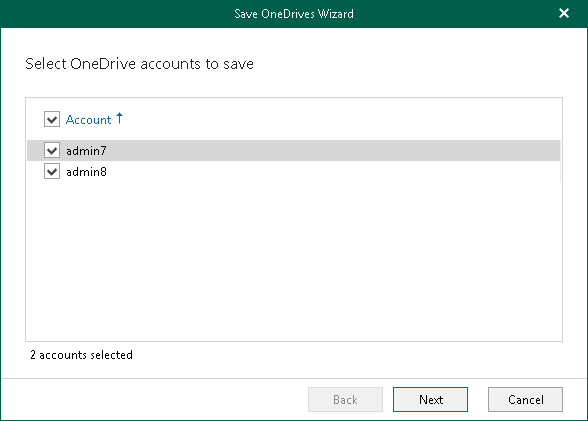 Select OneDrive accounts to save. 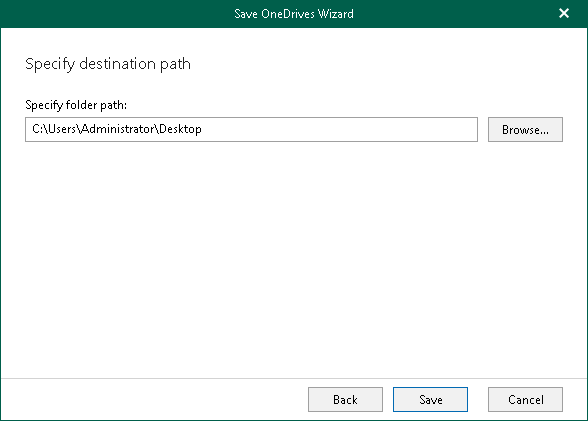 Specify a directory to save OneDrive data and click Finish.